BRONTÃ‹, Charlotte, Emily & Anne. Oxford: Shakespeare Head Press and Arcadia Books Limited,, 1991. 20 volumes, octavo (230 x 152 mm). Recent red half morocco, titles and elaborate decoration gilt to spines separated by raised bands, marbled boards, plain cream endpapers, top edges gilt. Illustrated with numerous etchings throughout. An excellent set. Limited edition of 250 numbered sets of which this is number 1. First published by the Shakespeare Head Press in 1931. The novels occupy the first eleven volumes; the other eight comprise The BrontÃ«s: Their Lives, Friendships, and Correspondence (four volumes); The Miscellaneous and Unpublished Writings of Charlotte and Patrick Branwell BrontÃ« (two volumes); and Poems (two volumes) plus the rare Gondal Poems. A handsomely bound set of what is considered to be the best text. 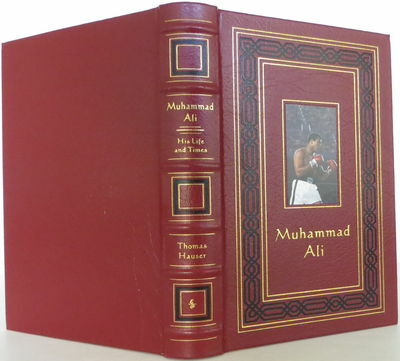 Franklin Library, 1991 A fine leather-bound limited edition, one of 3,500 signed by Muhammad Ali and by the author, this is number 463. Housed in a slipcase with a photo of Ali attached to the front panel. Huntington Beach: Safari Press, 1991. First - Limited to 1,000 Copies. Hardcover. Near Fine/Orig Slipcase Near Fine. Alan James Robinson. 366 pp, ill., bibliography and author biographies. 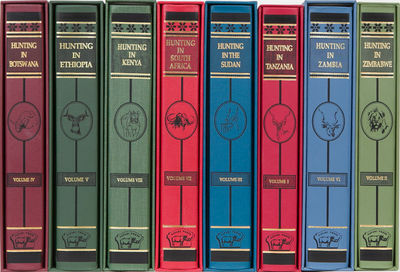 Popular recent anthology containing the best old and recent writings on hunting big game in Tanzania, one of the most popular hunting destinations in Africa. Seventh book in Safari Press classics in African hunting series and first in the country series -Perhaps one of the two most popular in the country series. Near fine in like slipcase. Long sold out and in demand. Large, thick, extra heavy book, extra postage. Die Spree am Nikolaiviertel in Berlin-Mitte, um 1991. Original-Ölgemälde auf Leinwand, ohne Rahmen, Format 60 x 80 cm. Kippenberger Martin - (Schlick, Jörg) Hrsg. SONNE BUSEN HAMMER. Das Zentralorgan der Lord Jim Loge. Heft 1-15 in 16 Heften (alles so Erschienene). Bamm, Peter [Banús, Enrique ; García, José] tr. The William Blake Trust/Princeton University Press, 1991. Cloth. Fine/Near Fine. A lovely, virtually pristine example of this monumental 6 volume set. 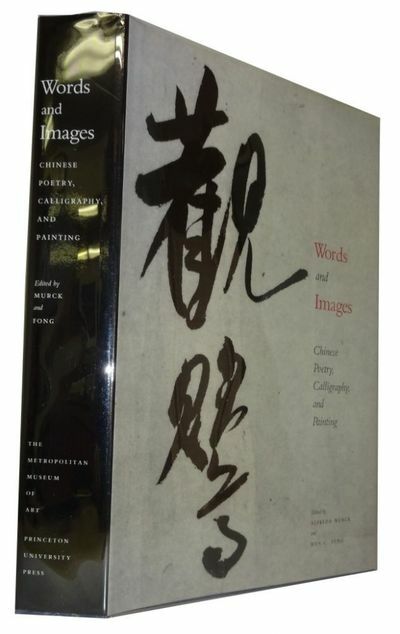 Published (from 1991-1995) by Princeton University Press under the auspices of the William Blake Trust, this painstaking reproduction of all of Blake's Illuminated books spared no expense and represents a highwater mark in scholarly publishing. Each quarto volume is tight and Fine in a crisp, Near Fine to Fine pictorial dustjacket. Internally, the set is immaculate as well, with no writing or markings of any kind and vibrant, pristine color plates. The 6 volumes are as follows: Vol. 1: Jerusalem: The Emanation of the Giant Albion; Vol. 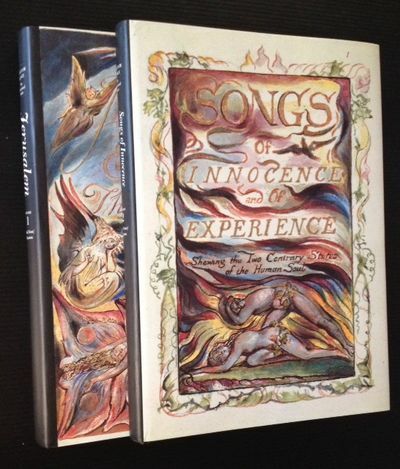 2: Songs of Innocence and of Experience; Vol. 3: The Early Illuminated Books; Vol. 4: The Continental Prophecies; Vol. 5: Milton a Poem and the Final Illuminated Works; and Vol. 6: The Urizen Books. Original Schwarz-Weiß Foto. Titel: 'Larmes de verre'. NY: St. Martin's Press, 1991. Hardcover. F/F. 1st edition, 1st printing. Author's very scarce first book. Signed on title page. We offer a LIFETIME GUARANTEE. NY: Random House. (1991). Matthiessen's own working copy, marked "PM. 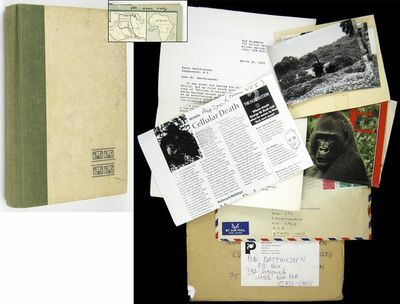 Work Copy" of this collection of nonfiction, recounting aspects of his numerous trips to Africa over the years. About a half-dozen pages marked by Matthiessen. Bowed and well-handled; a good copy, lacking the dust jacket. Laid in are: a 1992 3-page typed letter signed to Matthiessen from Bob Drummond, saying it was fun to have him along on his first trip to Africa and that the trip was much more valuable because of his copy of African Silences; seven black and white snapshots of elephants, apparently sent by Drummond; a 1986 two-page autograph letter signed from elephant researchers Richard and Karen [Barnes], reporting news from Gabon and thanking Matthiessen for a copy of Sand Rivers; a 1994 exchange (conducted in French) between a Monsieur LeNoel and Matthiessen [Matthiessen's retained copy present] on the topic of pygmy elephants; a 1992 Time magazine article about the African rain forest; and a photocopy of a 2001 New York Times article about gorillas. First Edition. Hardcover. Santa Barbara: Neville, 1991. First edition. Hardcover. A fine copy. One of 300 numbered copies signed in full by Hunter S Thompson on the colophon page. A small book, 38pp, containing three pieces by the Doctor of Gonzo: Mescalito, Death of a Poet, and Screwjack. Bright red cloth with gilt decoration (HST's monster), issued without dust jacket. Aiding and Abetting. An Alphabet for Aids. Marlborough: Libanus Press,, 1991. Octavo. Original black quarter morocco, titles to spine and front board gilt, pink paper boards, pink patterned endpapers. Housed in the original black cloth clamshell box. Illustrated in colour throughout, including illustrated title page by Posy Simmonds. A fine copy. 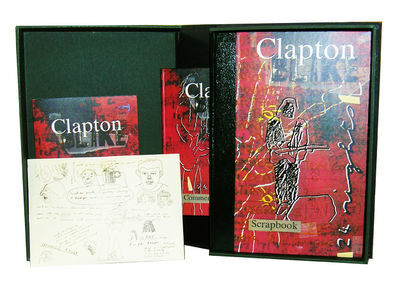 One of 30 specially bound and boxed copies and inscribed as such by John Byrne on the colophon. From a complete edition of 385 copies. A beautifully produced publication featuring the work of twenty-six artists including Posy Simmonds, Ian Beck and Pierre Le-Tan. 1991. 1 pp. 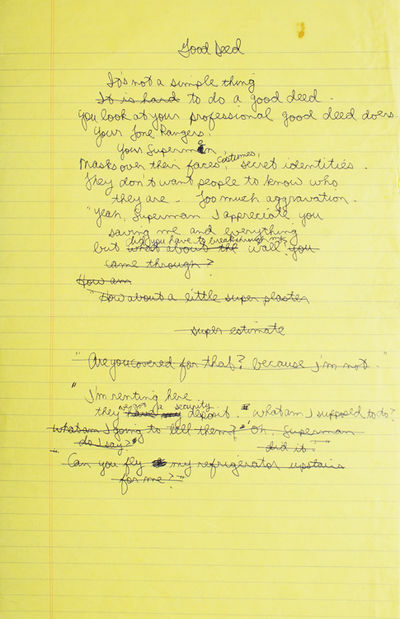 manuscript on yellow legal paper. 1 pp. manuscript on yellow legal paper. Manuscript Draft of Seinfeld Monologue. Jerry's final monologue to "The Cafe" episode (season 3, episode7). A working copy with numerous corrections. "Good Deed. It's not a simple thing to do a good deed. You look at your professional good-deed doers: Your Lone Rangers, your Supermen. Masks over their faces, costumes, secret identities. They don't want people to know who they are. Too much aggravation. 'Yea, Superman I appreciate you saving me and everything but did you have to break through my wall? I'm renting here. They've got a security deposit. What am I supposed to do?'" Hi, This lot is a Lowe and Brydone box set, the second ever box set of facsimiles that were prodused in 1970s. 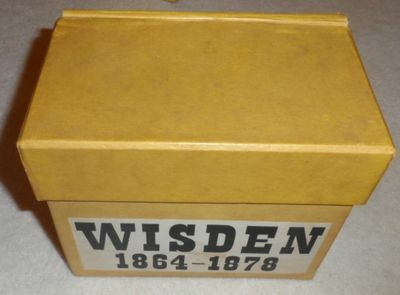 They resemble the original paperbacks (as did Billings but unlike the 3rd Wisden set in 1991 that are like rebinds), It comes in their original box (which may be a Billings box). The box is worn and a bit grubb but the books are nice and clean without too much issue. Only 100 sets were produced with 50 individual runs so 150 in total. Easton Press, 1991. Collector's Edition. Full Red Leather. Near Fine/No Jacket as Issued. 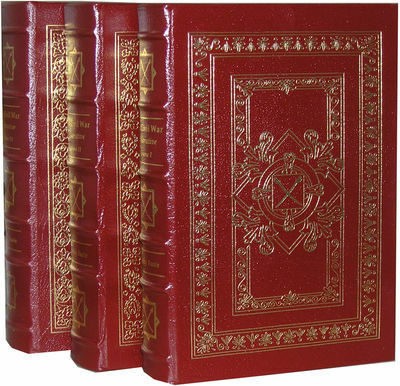 A handsome full red leather set of all three volumes of the late Shelby Foote's classic work about the Civil War with the first volume signed by the author on the signature page. Vol 1: " Fort Sumter to Perryville," 810 pp. plus extensive index, illustrated with 46 maps. Vol 2: "Fredericksburg to Meridian," 966 pp. plus extensive index, illustrated with 50 maps. Vol. 3: "Red River To Appomattox," 1,060 pp. plus extensive index, illustrated 49 maps and color endpaper maps. In all, over 2,000 pages and 145 maps. In fine unread condition (the pages feel new to open) but with small rubs to the gilt edge, primarily on the bottom corners; otherwise like new. A beautiful and important set of books, this set was Shelby Foote's masterpiece, taking him over 20 years to write. It is spectacular in its quality and detail. And to have the masterpiece signed by it's creator -- it doesn't get much better than that. Weighs 12 lbs. so extra shipping may be required. London Institution of Electrical Engineers 1991. VG : in very good condition with dust jacket. Minor nick on top edge of volume one. Chip at spine head of volume 6 with tape reinforcement First Edition Black/gilt hardback cloth cover 230mm x 140mm (9" x 6"). 673pp; 807pp; 835pp; 1003pp; 835pp; 919pp. B/w plates. Volumes published between 1991 and 2012. (New York): New Directions, 1991. First separate edition. -. Fine in publisher's matching linen slipcase./-. 8vo, 59pp; full natural white linen stamped in black and maroon. 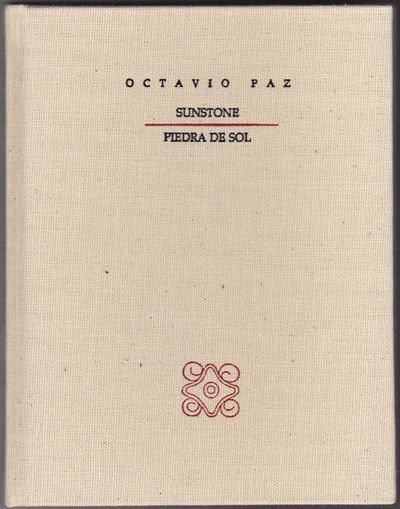 Bilingual text, with Paz's poems appearing on facing pages with Weinberger's translations. Illustrated with images of the Mayan calendar. 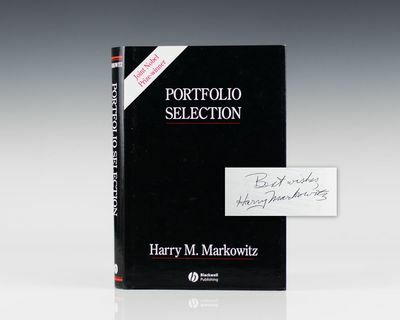 From the specially bound limited edition signed by both Paz and Weinberger, of which 250 numbered copies were for sale. This is one of a small overrun of unnumbered copies. New York: Metropolitan Museum of Art, 1991. 1st ed. Hardcover. Fine/Fine. frontis, illustrations, index, xxii, 589p. Original blue cloth. dj. 31cm. Wakefield:: The Fleece Press,, 1991. First Edition. Hardcover. Like New. Signed by Author. 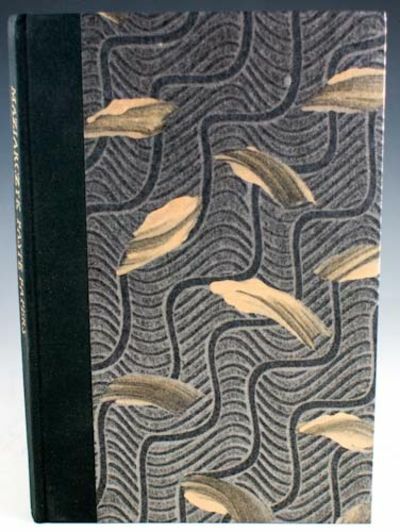 LIMITED EDITION of 200 copies, this copy has a unique design binding, 1 of 10 bound in leather by Angela James to her own design. Set in 8 point Van Dijck at the Rocket Press. Illustrations by Anthony Christmas. Oblong Miniature Book. 2 1/16 x 2 7/8 inches. Unpaginated. pp. Half-title, frontispiece woodcut, title page printed in blue and black, 7 woodcut illustrations by Anthony Christmas, glossary; text clean, unmarked. 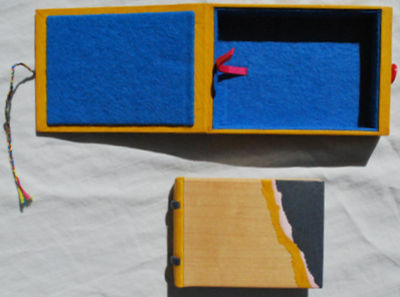 Wooden boards with a split bound spine of yellow leather, blue leather band on the spine, onlays to the boards of yellow, pink and slate-gray leather, the paste-downs also are made of similar leather onlays, free end-papers are of blue paper; binding square and tight. 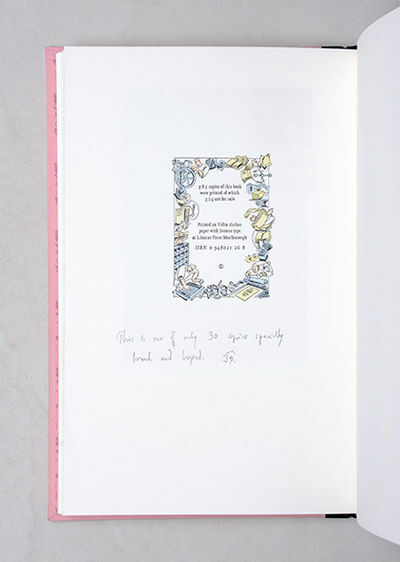 Comes with a wooden box covered in matching yellow leather, front cover with a gilt-titled label "AJ's A of BB" on front cover over slate grey leather onlays, multi-colored string ties to a pink button of fore-edge, inside lined with blue felt. SIGNED by Angela James on the colophon. Fine. Contains a summary of the history of book binding with a discussion of the basics of binding techniques. Huntington Beach, CA: Safari Press, 1991. First Limited to 1,000 Copies. Hardcover. Fine/Orig Slipcase Fine. Larry Norton, Joseph Vance,, Dino Paravano, Paul Bosman, Clive Kay, Elsie Van der Heijden. A complete set of the book of the Country Series (numbers do not match but all books are present). Thousands of pages. Contains the best writings from early times of trophy hunting in these countries to the present. Great selections and lovely illustrations. This is a FINE set in FINE slipcases. Complete sets are scarce. - Edición facsímil del manuscrito de la Biblioteca del Palacio de Madrid del álbum gráfico mandado componer por el obispo de la diócesis de Trujillo Baltasar Jaime Martínez Compañón tras su Visita pastoral. La obra está compuesta por nueve volúmenes de láminas con escenas de la vida social, historia natural, cuadros de costumbres, planos, mapas, folklore, etc. La obra se completa con 3 volúmenes de apéndices que forman el aparato erudito y organizativo indispensable para la total comprensión de esta colección. Madrid, Edic. Cultura Hispánica,1991-1994, 17x24, 12 volúmenes con 1400 láminas en color, muchas desplegables. Lujosa encuadernación en símil piel con ruedas doradas en los planos y contracantos. (Entre 1782 y 1785, Baltasar Jaime Martínez Compañón, Obispo de Trujillo en el Virreinato del Perú, realizó un viaje a través de la extensa región que estaba a su cargo. Como testimonio de su travesía, dejó una serie de ilustraciones a color que muestran aspectos muy dversos de los territorios que formaban la Diócesis de Trujillo. De entre las más de mil cuatrocientas imágenes conservadas, se encuentran las partituras de 20 piezas de música popular que Martínez Compañón transcribió durante su viaje, aunque su prioridad fue tomar apuntes para una historia completa de la diócesis de Trujillo. Así en el documento hay una gran cantidad de ilustraciones que representan las más variadas facetas de la vida en la zona noroeste del Perú: desde plantas, animales y mapas hasta retratos de personajes importantes, diferentes grupos étnicos y una amplia variedad de costumbres de aquella región) (85609). North Wales: Gregynog Press, 1991. Schanilec, Gaylord. Folio. 72pp. 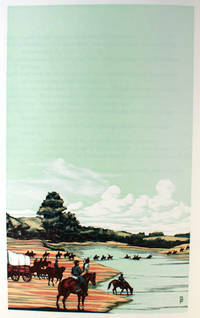 One of an edition of 450 copies. Contains frontispiece author portrait and seven more large wood engravings in color by Gaylord Schanilec. Cut with exquisite precision, and printed in deep, strong colors, this suite of realistic illustrations suits the powerful sequence of Civil War poems. Printed and designed by David Esslemont, and bound at Gregynog in quarter navy blue leather and gray boards, the colors of the Civil War. Light marking and very small stain to front cover, else fine. With an extra wood engraving and an advertisement for prints laid-in. Oxford: Alembic Press, 1991. Maziarczyk, Claire. Quarto. 53pp. One of 175 copies. Contains nineteen samples. This book describes the history and the techniques behind Claire Maziarczyk's vivid and unusual paste papers. Bound in gold and silver paste-paper boards backed with black morocco, gilt titling to spine. Extremely fine. San Francisco: Arion Press, 1991. First edition thus. Hardcover. Orig. 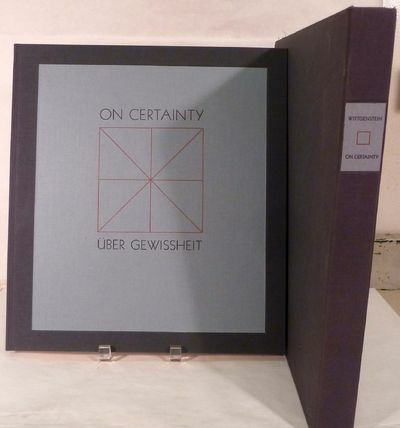 navy cloth front and back cover borders frame light blue cloth interior, paper spine label. 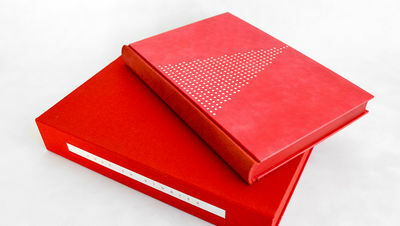 Fine in fine matching cloth slipcase. Dine, Jim. 676 propositions on 148 pages. 38 x 35 cm. Introduction by Arthur C. Danto, and twelve prints by Mel Bochner. Limited edition, copy 53 of 300, on Rives Heavyweight, a French mould-made paper with Plantin type. The planographic prints were produced from the artist's drawings in black and red on mylar. This is the last writings of the philosopher Ludwig Wittgenstein, text in German and English. The author is recognized as the dominate philosophical thinker in the first half of the twentieth century. Lain-in, the Arion Press eight page prospectus. St. Martin's Press, 1991, Wrappers, Book Condition: Near Fine, First edition. 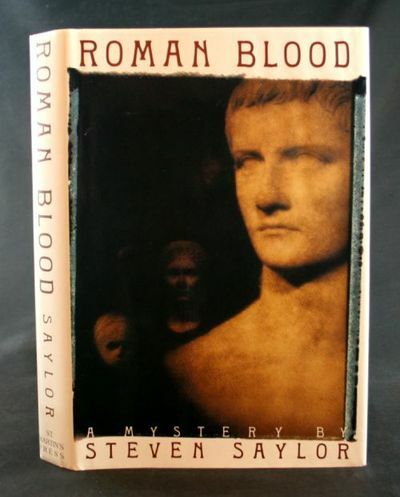 A Very Good + to Near Fine copy of the SCARCE ADVANCE UNCORRECTED PROOF for the first edition, first printing (spine lightly sunned, light pushes to the wrapper leading edges and leading corners, minor soiling), SIGNED BY STEVEN SAYLOR on the title page; Steven Saylor's notable debut book: a novel set in the final decades of the Roman Empire and being the first work in his Roma Sub Roma series. In the novel, Cicero, while defending the character Sextus Roscius from charges of patricide, hires the Roman sleuth Gordianus the Finder to assist him in determining the truth of the matter. The novel is based on a trial oration given by Cicero in his real-life 80 BC successful defense of Sextus Roscius against the charge that he had killed his father. Copies of the Advance Uncorrected Proofs are rather scarce, and signed copies are, in our experience, quite scarce indeed. A Near Fine copy of the ADVANCE UNCORRECTED PROOFS OF THIS NOTABLE DEBUT, SIGNED BY STEVEN SAYLOR. QUITE SCARCE INDEED. HAEIN SONG, designer bookbinder. KIPLING, Rudyard. London: Folio Society, 1991. 168 x 242 x 31 mms. Bound by Haein Song in 2010 in a Bradel binding with reverse goatskin spine. Front and back boards covered in hand dyed goatskin with white tooling. Monoprinted endpapers with leather joint to panel doublures. 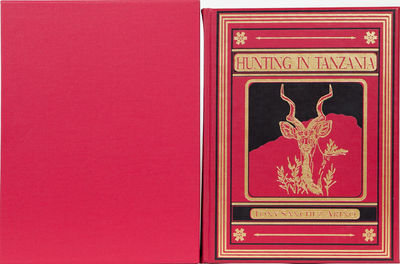 Housed in the original red cloth clamshell box with printed label on spine. New York: MOMA, 1991. First edition. Hardcover. Orig. black cloth. Fine in matching fine slipcase.. 128 pages. 24.5 x 27.5 cm. 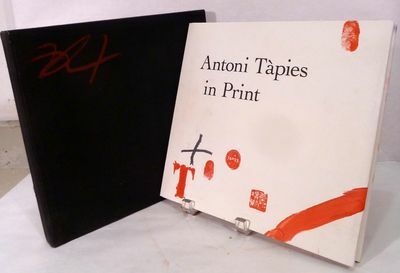 Limited edition, one of 150 copies with an original lithograph, 9 1/2 x 10 1/4" signed by Tapies. The latter created as a special edition for the exhibition "Antoni Tapies in Print" at MOMA, May 7 - August 9, 1992 -- printed by La Poligrafa, S.A. Barcelona. Total of 75 plates, twenty-five in color. Wye is Curator in the Department of Prints and Illustrated Books at MOMA.